More power, less emissions. The FS 56 RC-E trimmer features a high-performance, fuel-efficient engine that runs cleaner and smoother and provides about 5% more power than the FS 55 R. When it's not squeezing every last ounce of performance from its upright fuel tank, this straight-shaft grass trimmer keeps the weeds at bay, thanks to its AutoCut® cutting head. 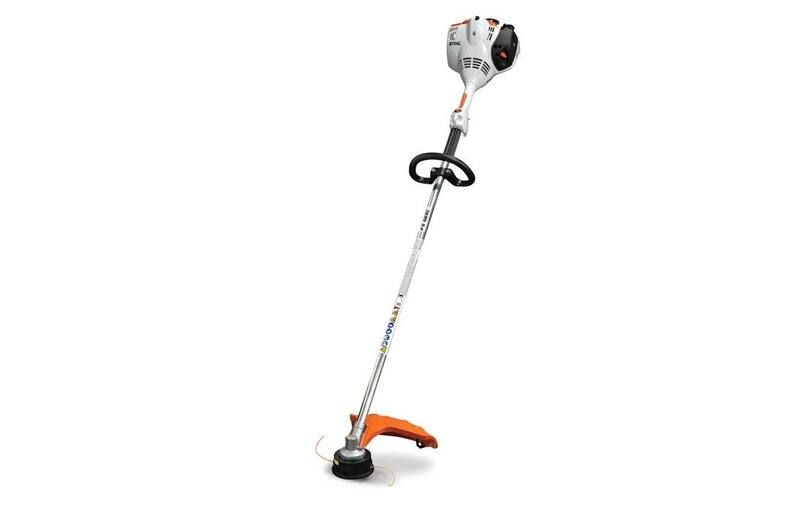 This STIHL trimmer also features our Easy2Start™ technology, making starting nearly effortless. And with its simple, reliable and convenient starting procedure with a momentary stop switch which automatically returns to the start position, this trimmer is always at the ready to get to work. For comfort, performance and maneuverability, this trimmer hits the sweet spot.